Fibromyalgia, a chronic pain disorder, affects five percent of the population, but celebrities who live with fibromyalgia, like Morgan Freeman, prove you can manage the symptoms and lead healthy, productive lives. Fibromyalgia is the most common musculoskeletal condition after osteoarthritis. Yet it is still misunderstood and often misdiagnosed. That’s because symptoms vary from one person to another; but the multiple symptoms it causes are often intertwined. Of the 12 million Americans who suffer from fibromyalgia, most are women between the ages of 25 and 60. Incredibly, women are 10 times more likely to get fibromyalgia than men. The most common symptoms associated with fibromyalgia include widespread pain, crippling fatigue, and sleep disturbances. Sometimes your muscles will twitch, burn, or you’ll experience deep stabbing pain. Those suffering from fibromyalgia may also feel pain and achiness around the joints in the neck, shoulder, back, and hips. 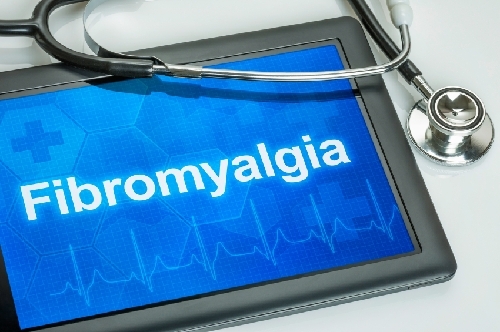 Additional symptoms associated with fibromyalgia include: abdominal pain, chronic headaches, dryness in the mouth, nose, and ears, hypersensitivity to cold and/or heat, incontinence, irritable bowel syndrome, numbness in the fingers and feet, and overall stiffness. Morgan Freeman: Morgan Freeman is an American actor, director, and narrator. Known for The Shawshank Redemption, Driving Miss Daisy, and Lean On Me, Morgan Freeman revealed he had fibromyalgia in a 2012 interview in Esquire magazine. Morgan believes he developed fibromyalgia after a car accident in 2008. Susan Flannery: Susan Flannery is a four-time Emmy-winning actress who starred on the daytime soap operas Days of Our Lives and The Bold and the Beautiful. She made headlines in 2007 when fibromyalgia forced her to take a medical leave from the show. She returned to the show later on. Michael James Hastings: Hastings is an American actor best known for portraying Captain Mike on the TV series, The West Wing. While the chronic pain associated with fibromyalgia forced Hastings into retirement, the disorder hasn’t stopped him. He is a passionate advocate on fibromyalgia education and has his own website dedicated to fighting fibromyalgia. Allodynia: A gentle rub on the back from a friend might not feel that way to someone with Allodynia. Allodynia is a heightened sensitivity to touch. And in some cases, results in excruciating pain. Sensitivity to smell: Sensitivity to smell is a fibromyalgia symptom that is directly tied to allodynia. It can occur for many of the same reasons. That’s because your brain receives an overwhelming amount of sensory input (sights, sounds, smells, etc.) all of which the brain needs to process. The brain can have difficulty processing all of this sensory information which leads to heightened sensitivity. Brain fog: Also called “Fibro Fog”, brain fog is a serious symptom of fibromyalgia. Common signs of brain fog include difficulty with finding the right words or even substitutions, loss of short-term memory, and even episodic disorientation that lasts for 30 to 60 seconds. There is no single cause for brain fog, and it can be caused by a combination of factors including low thyroid levels, poor sleep, hidden infections (Candida), and alterations in blood flow to the area of the brain that regulates speech. Paresthesia: Paresthesia is a symptom of fibromyalgia; it includes unexplained feelings of tingling and numbness. Often related to anxiety or nervousness, paresthesia can be accompanied with rapid, deep breathing. Lipomas: Lipomas are benign fatty tumors that can appear as lumps in various parts of the body. Lipomas are not directly related to fibromyalgia but can cause additional discomfort. It is thought that this may be related to where the lipomas develop; usually parts of the body that are susceptible to the excessive or inappropriate pain that patients’ experience. How winter weather affects fibromyalgia: People suffering from the chronic pain of fibromyalgia have to deal with the day-to-day symptoms. They also need to understand how the changing seasons affect their fibromyalgia. Some maintain that fibromyalgia is not affected by the weather. Others will disagree. If you suffer from fibromyalgia, you need to be aware of additional symptoms that arise during different times of the year. Fibromyalgia may not be affected by the different seasons, but there are comorbid, or co-existing conditions, that are affected by cold weather that enhances the symptoms associated with fibromyalgia. Can a soak in Epsom salts truly tame fibromyalgia? Can something as simple as Epsom salt help tame the chronic pain of fibromyalgia? An international team of scientists is studying reduced environmental stimulation as a possible treatment for fibromyalgia. The treatment involves lying in a shallow pool of supersaturated Epsom sale for an hour. The pool is in an insulated enclosure. The temperature of the solution, ambient temperature, and humidity are controlled. Results of the study could be available as early as next spring. Some women who suffer with fibromyalgia will experience chronic pain during pregnancy. Fatigue might be a common symptom of pregnancy; the experience can be significantly amplified for those diagnosed with fibromyalgia. That’s because they have an increased sensitivity to processing sensory input. A paper cut could feel like a deep slash. A twisted ankle could feel broken. Being pregnant could make the entire body feel like it is under assault. Unfortunately, medications used to treat fibromyalgia have not been shown to be safe during pregnancy. And exercises can be tough for any pregnant woman, let alone one suffering from fibromyalgia. At the same time, some women find their fibromyalgia symptoms improve during pregnancy. While no one has studied it yet, it is thought the oxytocin released during pregnancy, childbirth, and breast feeding helps east fibromyalgia pain. If you live with fibromyalgia, you already know there is no known cure for the chronic pain you live with every day. As a result, you may need to see several different healthcare professionals to help you deal with your fibromyalgia. Rheumatologist: Specializes in conditions that affect muscles and joints. Neurologist: Understands conditions that affect the central nervous system. Psychologist: Can help you deal with stress and look after your mental health. Dietician: Will help you discover which foods affect the way you feel. Physical therapist: Will show you which fibromyalgia-friendly exercises are best for you. Qigong: The ancient practice of Qigong can help reduce the effects of fibromyalgia. Qigong is a mind-body exercise that can move energy throughout the body. In one major study, Chaoyi Fanhuan qigong (CFQ) favorably improved the symptoms of fibromyalgia after only eight weeks of 45-minute daily sessions. Other exercises that can help combat the symptoms of fibromyalgia include yoga, massage, and deep-breathing exercises. Natural remedies: Those who do not like the idea of taking doctor prescribed medicines will be happy to learn that there are a number of natural remedies for fighting fibromyalgia. A fibromyalgia-friendly exercise program can help reduce pain symptoms and boost brain function and mood. Diet: Changing your diet could also help reduce the chronic pain of fibromyalgia. Admittedly, there has not been a lot of research linking diet to fibromyalgia. But that doesn’t mean there isn’t a link. After all, we all know that food impacts the way we feel. People with fibromyalgia might have different sensitivities, but according to one study, 42% of fibromyalgia patients said their symptoms got worse after eating certain foods. Food journal: Keep a food journal and note when you have fibromyalgia symptoms like headaches, indigestion, or fatigue. From here, you can either add certain foods to your diet or eliminate certain foods. Overall though, it might make sense to eat a diet that is high in fruits, vegetables, whole grains, and lean protein. A well-balanced diet can give you more energy to stay active and improve your overall health. Each person living with the chronic pain of fibromyalgia has different symptoms that will need different approaches. The more you know and understand fibromyalgia, the better prepared you’ll be to manage the symptoms and enhance your quality of life. Focus on your overall wellbeing. That includes making changes to your diet, introducing fibromyalgia-friendly exercises, taking natural or prescription remedies, seeing a counsellor, and talking to your doctor. Most importantly, find a fibromyalgia regimen that works for you. “Fast Facts About fibromyalgia,” National Institute of Arthritis and Musculoskeletal and Skin Diseases web site; http://www.niams.nih.gov/Health_Info/fibromyalgia/fibromyalgia_ff.asp, last accessed December 24, 2015. “What is fibromyalgia,” The American fibromyalgia Syndrome Association, Inc. web site; http://www.afsafund.org/fibromyalgia.html , last accessed December 24, 2015. “Fibromyalgia,” Canadian Women’s Health Network web site; http://www.cwhn.ca/node/40784, last accessed December 24, 2015. “10 Celebrities You Never Knew Have fibromyalgia,” Daily Medical News web site, September 26, 2015; http://dailymedicalnews.org/10-celebrities-you-never-knew-have-fibromyalgia/. “Garofolo directs stinging with toward herself,” Boston.com web site, May 11, 2009; http://www.boston.com/ae/theater_arts/comedy/articles/2009/05/11/garofalo_directs_stinging_wit_toward_herself/. “Coping with fibromyalgia During Pregnancy,” U.S. News web site, December 7, 2015; http://health.usnews.com/health-news/patient-advice/articles/2015/12/07/coping-with-fibromyalgia-during-pregnancy. “How Winter Weather Affects fibromyalgia,” Prohealth.com; http://www.afsafund.org/fibromyalgia.html, last accessed December 24, 2015. “Can a soak in Epsom salts truly tame fibromyalgia?” The Daily Sentinel Grand Junction, Colorado web site, December 21, 2015; http://www.gjsentinel.com/lifestyle/articles/can-a-soak-in-epsom-salts-truly-tame-fibromyalgia. “Five Weird Signs of fibromyalgia,” Chronic Body Pain web site; http://www.chronicbodypain.net/five-weird-signs-of-fibromyalgia/, last accessed December 24, 2015. “Fibromyalgia Fixes: Treatments Worth Trying,” Arthritis Foundation web site; http://www.arthritis.org/about-arthritis/types/fibromyalgia/articles/fibromyalgia-treatments.php, last accessed December 24, 2015. “Treating fibromyalgia,” National Health Service web site; http://www.nhs.uk/Conditions/fibromyalgia/Pages/Treatment.aspx, last accessed December 24, 2015.